The state of Nevada has one of the highest drug poisoning death rates per capita in the entire United States, as reported by Las Vegas Weekly. In general, Nevada ranks fourth for number of overdose fatalities in the US, the Trust for America’s Health publishes. The Behavioral Health Barometer published by the Substance Abuse and Mental Health Services Administration (SAMHSA) reports that Nevada residents abuse and suffer from dependence on alcohol and drugs at rates slightly higher than the rest of the nation, according to statistics gathered between 2009 and 2013. Around 9 percent of Nevada residents aged 12 and older struggled with alcohol dependence and abuse while over 70,000 residents of the Silver State battled illicit drug abuse and dependence. A report published by the University of Nevada Las Vegas found that as of 2009, youth in Nevada were abusing illicit drugs, prescription painkillers, and marijuana at rates greater than the national average as well. Over 7,000 people in a single-day count were enrolled in treatment services for substance abuse in Nevada between 2009 and 2013, and nearly half (44 percent) struggled with issues related to both alcohol and drugs, SAMSHA further reports. Many of those who need treatment in the state of Nevada are not receiving it either, as SAMHSA indicates that approximately 95 percent of those requiring treatment for alcohol-related concerns were not receiving treatment services and more than 86 percent of those needing help for illicit drug issues were not getting the care they required. Officials in Nevada are working to improve substance abuse and overdose rates within the Silver State by enhancing preventative and treatment options for residents. 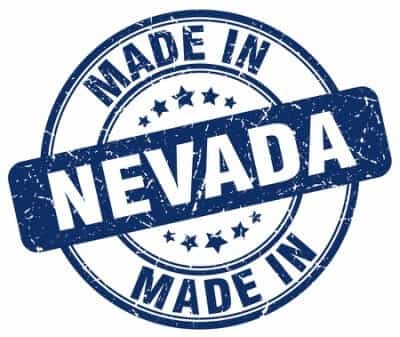 Nevada offers many programs designed to help those in need, ranging from state-funded programs and nonprofit programs to community-based services and low-cost treatment assistance. Public programs are those that accept everyone regardless of their ability to pay while private programs often take health insurance to help cover costs. Within Nevada, SAMHSA reports that there are 19 agencies funded by the Substance Abuse Prevention & Treatment Agency (SAPTA) that provide services in all of Nevada’s counties with over 50 services sites spread throughout the state. SAPTA runs community-based prevention and treatment programs using federal funds for specific alcohol and drug abuse programs under the umbrella of the Nevada Division of Public and Behavioral Health (DPBH). These programs are either free or provide services at a low cost to those in need. Nevada residents may also benefit from a private treatment facility, which may have more amenities and provide a higher level of care. There are numerous addiction treatment options within the state of Nevada designed to aid in recovery. Nevada offers a 24/7 Crisis Call Center hotline for residents who are in any type of crisis, free of charge. This referral service can help individuals connect with resources to help them receive proper care. SAMHSA also provides a Behavioral Health Treatment Services Locator tool that can connect people with local treatment providers offering specific types of desired services. Treatment providers that are certified by SAPTA within Nevada are also listed on the DPBH website broken down by those that are funded and those that are not funded by federal resources. Many of the SAPTA-certified programs (both funded and non-funded programs) accept Medicaid as well. Medicaid is an income-based health insurance program that helps individuals with limited resources obtain healthcare services at low to no cost. Public treatment programs that are federally or state-funded are generally more crowded and may have a waiting list to get in to them. Individuals may be able to get into a private program more quickly. These facilities typically have trained professionals on hand to help families navigate payment options and payment plans, or use health insurance to pay for treatment services when applicable. As addiction is a progressive disease, it may be beneficial to receive treatment as soon as possible. Preventative and educational services: These resources help communities understand the perils of drug abuse and addiction, and offer information on prevention overdose, abuse, and addiction. Detoxification: These services may be either inpatient (medical detox) or outpatient. They provide care to help drugs and/or alcohol safely process out of the body when dependence is present. Counseling: Sessions may be provided within the confines of an inpatient program or on an outpatient basis, and they are tailored to the specific needs of the individual. Individual and group therapy: Behavioral therapies are often considered the primary treatment for addiction. They serve to modify negative thoughts and behaviors and teach new coping and stress management skills. Inpatient services: These programs provide around-the-clock comprehensive care in a secure facility where individuals have a strict schedule to help them move into recovery without the distractions of daily life. Outpatient services: These services are more flexible, allowing individuals with family, work, or school obligations to continue to attend to them while receiving treatment. Co-occurring disorders services: Many times, mental health conditions co-occur with substance abuse and addiction. Co-occurring disorders should be treated in an integrated and simultaneous fashion to ensure that all concerns are being fully addressed. Support groups: Peer and 12-Step programs are often integral parts of a treatment program as they bring similar individuals together in a safe environment to offer support, encouragement, and tools for preventing relapse and remaining sober on a long-term basis. Relapse prevention programs: Many community-based programs will include tips and tools on how to minimize relapse after completing a treatment program. Medication management: Often, medications are necessary during addiction treatment and recovery. These programs can help individuals to manage their medications safely and prevent misuse. vTransitional Programs and Services: After completing a treatment program, individuals may benefit from entering into a sober living home where they live with others who are also committed to sobriety. Residents are in various stages of recovery, living together before transitioning all the way back into normal everyday life at home. Recovery services: Aftercare programs exist to enhance recovery and offer support beyond addiction treatment. A statewide effort to improve safe prescription drug practices and prevent overdoses, Creating a Healthier Nevada provides a host of community-based, nonprofit, and addiction prevention and treatment resources gathered and published by the Nevada Statewide Coalition Partnership. Prevention and education services as well as resources for treatment are also provided by coalitions around the state, such as the CARE Coalition in Clark County and the PACT (Prevention, Advocacy, Choices, Teamwork) Coalition in Las Vegas. A full list of Nevada coalitions located throughout the Silver State can be found here. SAPTA currently funds 12 different coalitions throughout Nevada that serve specific areas of the state as published by the Nevada Prevention Resource Center (NPRC). Nonprofit organizations, such as the Partnership of Community Resources, provide a network of preventative, addiction treatment, and educational resources for residents of Nevada. International organizations like Alcoholics Anonymous (AA) serve Nevada residents with support group meetings in numerous locations throughout the state, and membership is open to anyone desiring sobriety. Regardless of a person’s financial status, there are many options for addiction treatment and support within the state of Nevada. A compassionate treatment consultant can help families and individuals to find the optimal care option available for a long and lasting recovery.